Powder coating metal part surfaces make products more resistant to chipping, corrosion, scratching, fading, and wearing, than other finishes. Colors stay bright and vibrant longer. The color selection is virtually limitless. Finishes with high and low gloss, metallic, clear and numerous textures are available. 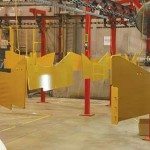 Watson Coatings has an automated five-stage iron phosphate parts washer and ITW Gema powder coat system in each of its’ locations. 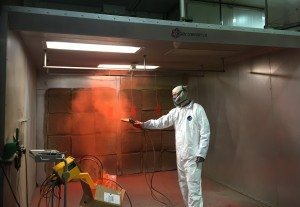 Watson’s powder coat services allow the ability to specialize in custom color selections and high-temperature powder applications. 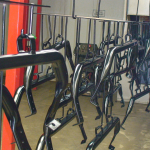 Powder Coating services offered in the Detroit, Metro area, and across the midwest region. 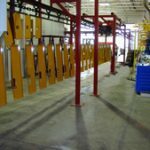 Watson Coatings also features an automated and manual paint spray booth for metal powder coating application. 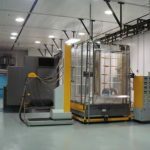 The manual spray booth is utilized for large powder coated parts and single or low volume production. It can also be used for a different color run without the cost of changing colors by shutting down the current production line. The powder coating paint spray booth temperature controlled by a heating and cooling specialist. The paint booth also has ventilation to help achieve the perfect coating. 5 stage powder coat paint system including environmental room, vacuum cleaning system, burn-off oven, x-458 4″ I-beam conveyor system. In addition, PLC base central electrical control panel, powder application room system, and air make-up system. Also, Elco meter, ph meter, Elco cross cut test and ITW Gema automatic paint guns. 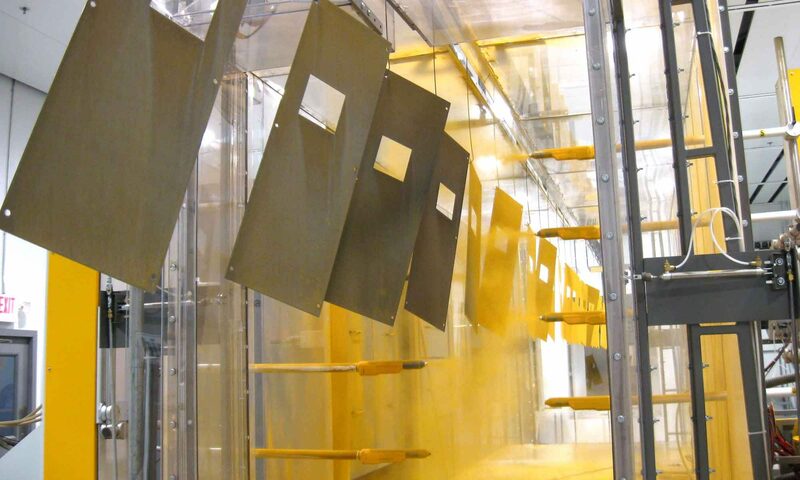 Watson Coatings’ high-performance powder coat system has passed independent lab tests and exceeds Ford, General Motors, Caterpillar and other OEM’s strict powder coating specifications. 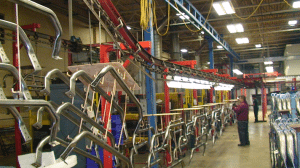 The equipment manufacturer is a pioneer in powder coating technology and color change solutions. Therefore, Watson offers it’s customers the confidence and expertise that comes with using equipment from the industry’s global leader. Gema sets the industry standard for powder coating technology. Also, in addition to equipment, only the highest quality powders are used. Furthermore, Gema equipment is durable, flexible and engineered to last and provides increased performance, greater efficiency, and a better return on investment. 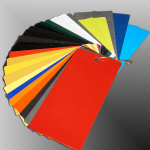 Watson Coatings powder coated parts display is housed at the Taylor, Michigan location. Consequently, most of the powder coating work is for prototype parts. Therefore, parts can not be promoted or displayed. So, this is just an example of a very small variety of parts and colors that the powder coating services department has painted through the years.